Even more than twenty-five years after his death, Vladimir Horowitz's name still conjures up magical imagery. An artist of extraordinary pianistic abilities, Horowitz came to define an era, when performing artists put their personal stamp on everything they did. And Horowitz did it like no one else, before or since. This CD set is taken from one of those concerts, a recital from Orchestra Hall, Chicago, on October 26, 1986. Here we hear him in his element, before a live audience. We may not be able to attend a Horowitz recital any more, but this is the next best thing � with a little imagination, we can become part of the audience ourselves, and it�s just thrilling. Horowitz performed in Chicago thirty-seven times in all, including twenty-seven solo recitals, starting in the year 1928. He was very popular there, and that popularity caused him to give repeat performances four times in the 1960s and 1970s, in order to reach as many patrons as possible. By 1986, he�d come up with perhaps a better plan: a concert that would be broadcast, as a gift to the city of Chicago. 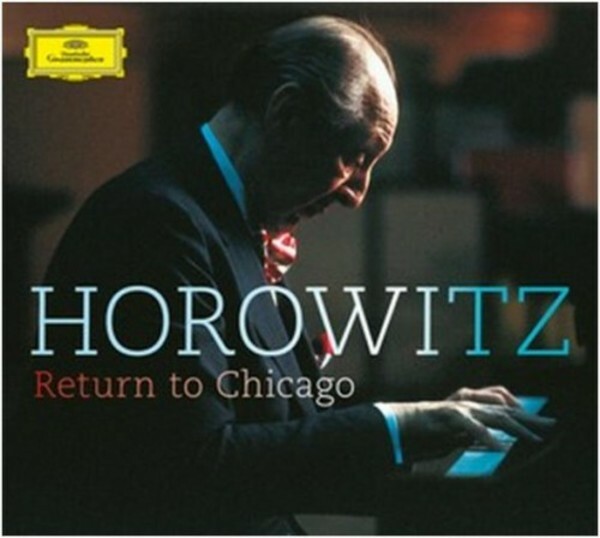 This concert marks the final time Horowitz played in Chicago. Tracks 9 and 10 of CD 2 are Horowitz interviews with Norman Pellegrini and Thomas Willis.